These past two years I haven't baked much sourdough bread. Since I left Petraia I've been working with a pretty poor oven. But recently a friend inspired me to try baking with a cast-iron combo-cooker. 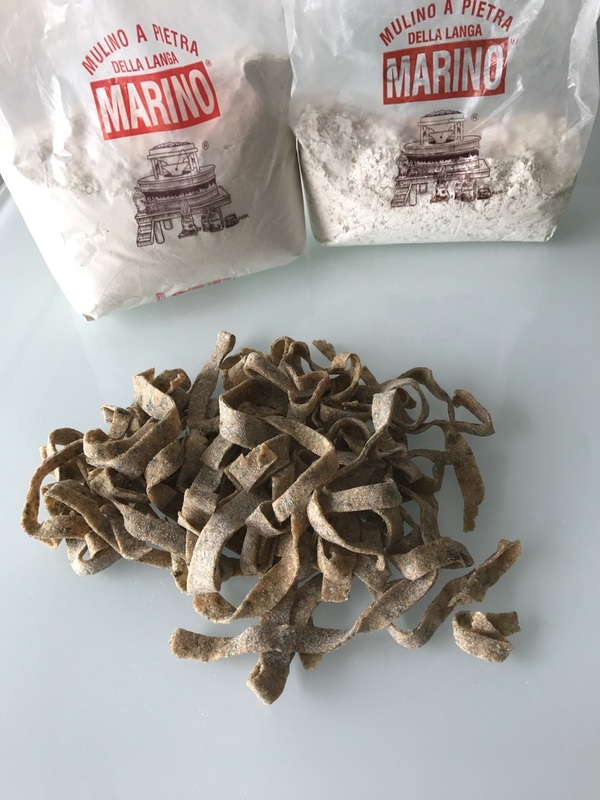 After testing the technique the first thing I did was to pay a visit to the Mulino Marino in Italy's Piedmont region where I have been sourcing flour for over 20 years. I picked up a supply from their wonderful stone ground range including farro, enkir, macina di grano, burrata, and rye. Here's a look at my first effort and a few pictures I took at the mill. The bread is my whole grain sourdough from Piano, Piano, Pieno. 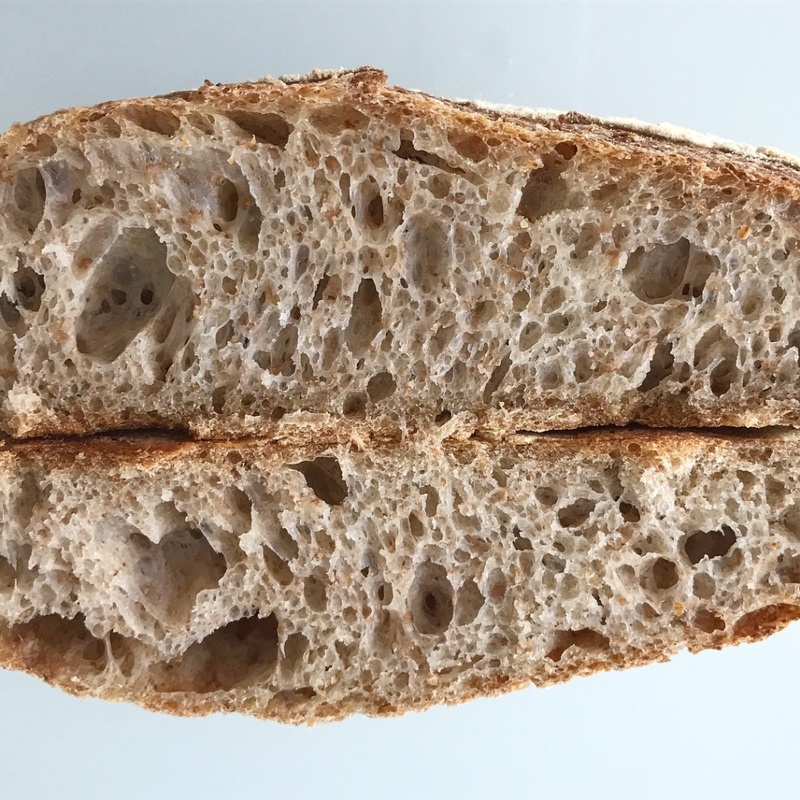 It is made with a liquid levain, 72 % hydration, 70% macina (whole wheat) and 30 % burrata, retarded 17 hours. My long dormant starter was a little over-excited to be back in business so the loaves ended up slightly over-proofed. Since my banettons and lame are deep in storage it was scored with a dull blade and proofed in makeshift paper towel lined plastic bowls (the paper towel worked surprisingly well). Lots of room for improvement, but I am really excited to be producing decent loaves again. 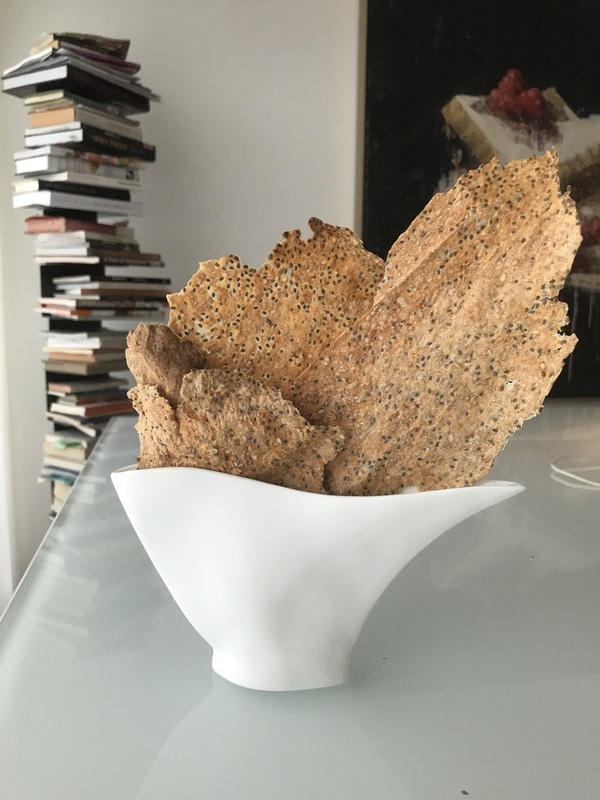 I've also included a picture of my chia "crack", the flatbread I've been making for years to use up leftover starter and some sea lettuce maltagliati. I don't always retard but when I do its always immediately after shaping and for somewhere between 12-18 hours. I bake straight from the refrigerator. I would love to have some feedback about this because there are so many different opinions out there. For instance, after shaping, do you get the best results from retarding? If you retard, do you put the loaves straight into the refridgerator after shaping or do you let them sit at room temperature a bit first? If so, how long? How long do you usually retard? After retarding, do you bake straight from the refrigerator or do you let the loaves sit at room temperature? If so, for how long? Thanks in advance to everyone at the Fresh Loaf for all of your inspirational posts, generosity of spirit and for any light you can shed on this subject! 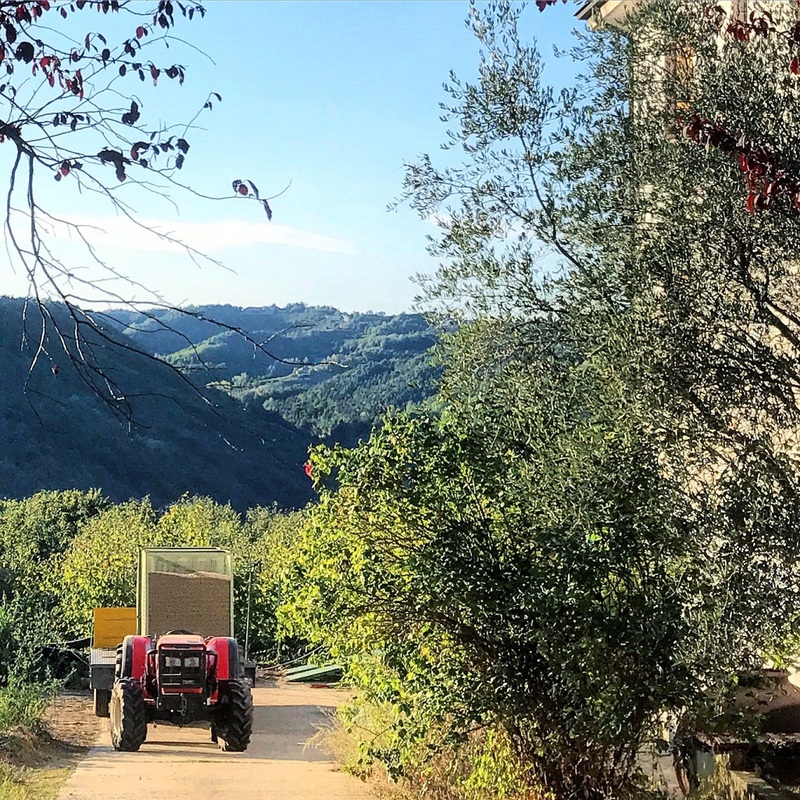 and by the way, its hazelnut harvesting time in Piedmont right now! I enjoyed your post and these wonderful pictures. Nocciola is by far my favorite nut and ice cream flavor - I hope it's a good harvest! 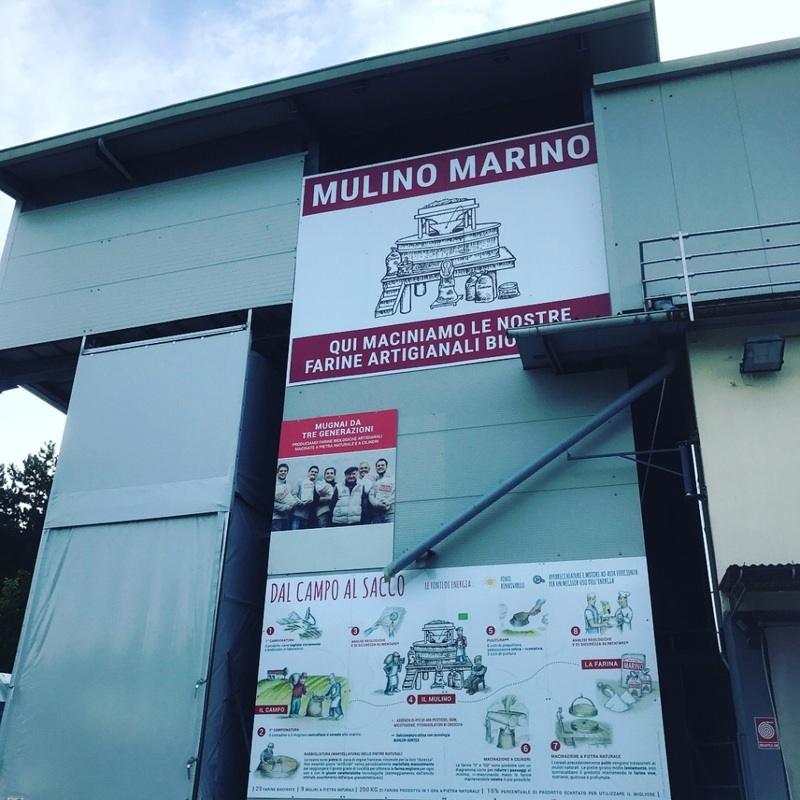 What a fabulous visit to the Mulino Marino and what great flours you are able to purchase there. So envious! Would you share your recipe of your chia crack flatbread? It looks very enticing! That is a very nice loaf you baked and yes, a cloche or stone-iron cooker is a great way to improve on a poor oven's output. I don't have answers to your questions as I too often experiment with timings, depending on my schedule. 1. If you retard, do you put the loaves straight into the refridgerator after shaping or do you let them sit at room temperature a bit first? They go right into the fridge Covered with a plastic bowl cover (they look like a plastic shower cap). 2. If so, how long? They don't sit around at room temperature after shaping. 3. How long do you usually retard? 10-12 hours. I find that this works well for my usual 13% of prefermented flour and a fridge set at 37-38 F. My loaves are also around 750 g before baking. 4. After retarding, do you bake straight from the refrigerator or do you let the loaves sit at room temperature? Straight from the fridge. I like them nice and cold so they hold their shape when I drop them in the Dutch ovens. 5. If so, for how long? See above. Thanks so much for your feedback..thats pretty much my approach too. Do you always retard? It works better for my schedule and to be honest, I am afraid to overproof at room temperature. My oven take nearly an hour to heat up and if I go by the poke test, I either have an overproofed loaf by the time the oven is heated up or I am wasting electricity waiting for the loaf to be ready. I am also more confident dropping a firmer loaf in the pots. 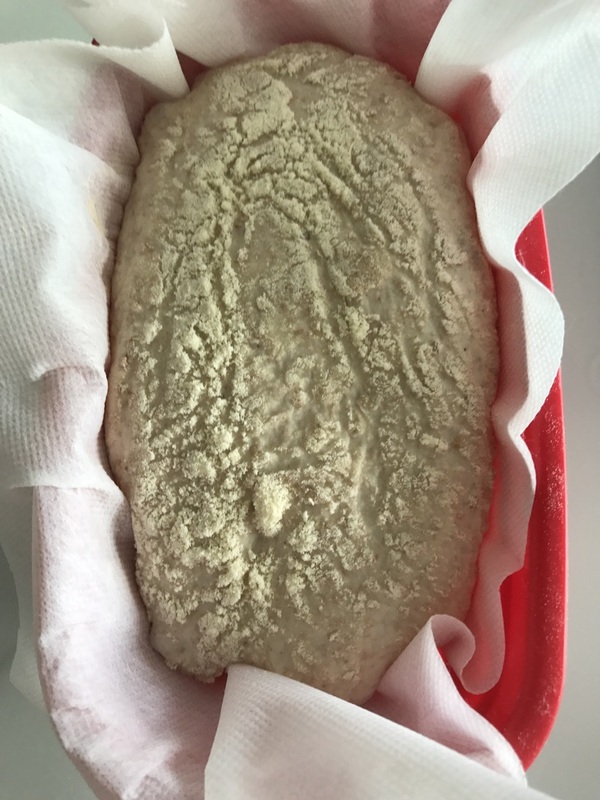 The dough is sturdier and seems to handle better cold. what is the fellow with the spiked mallet doing? 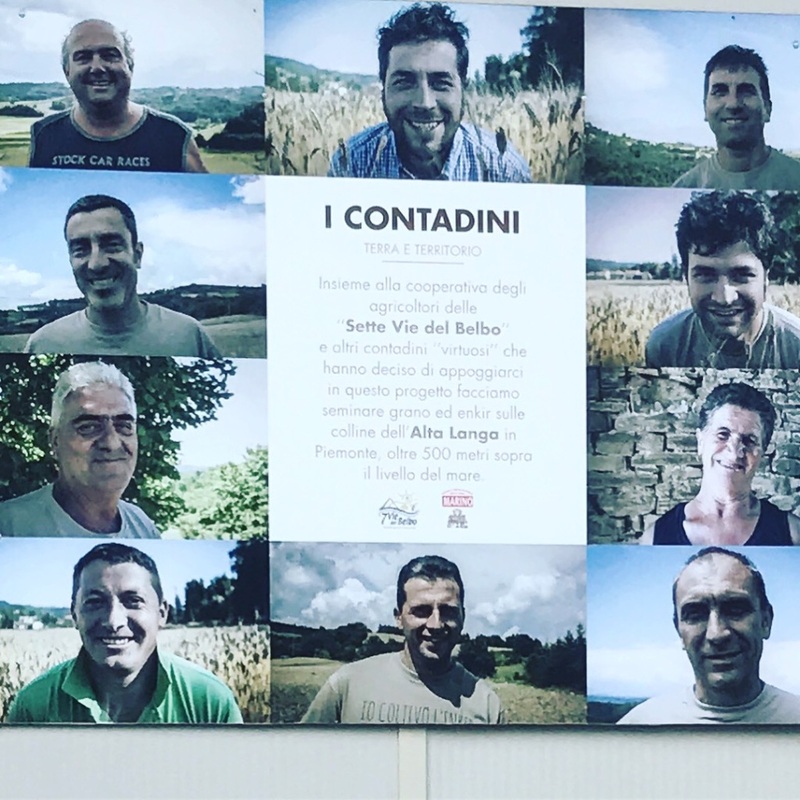 Have you ever tried to source raw grain, to mill yourself, in Italy? I have been wondering about that, as it will become an issue for us at some point and I wouldn't know where to start. 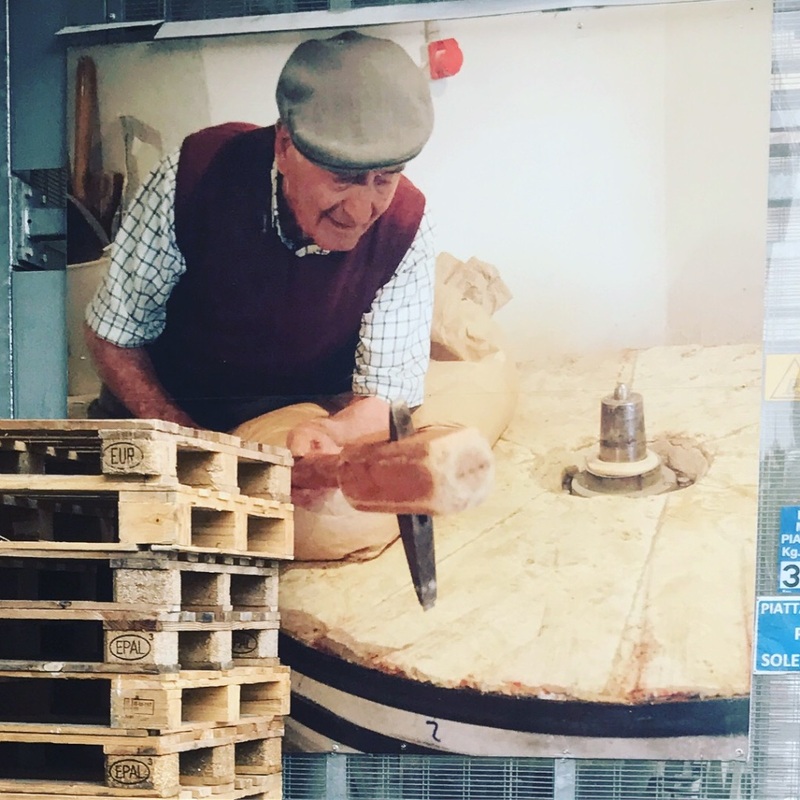 We mill our own and will eventually relocate to Lombardia, but not anytime real soon, unfortunately. I always retard the dough for our weekly miche. I shape, banneton and bag it after ~2h of bulk in the evening. Retarding temperature is 43-45˚F (~7˚C). My "rule" is to bake it straight from the fridge, when the dough reaches the top of the banneton and no further. In summer, it can be hard to catch it before it proofs that much (so I bake as early as possible the next morning). 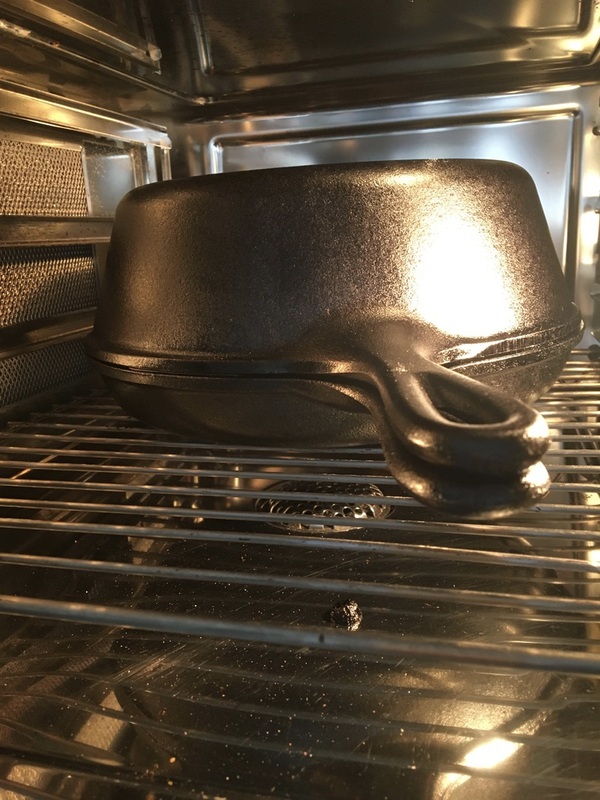 Whereas in winter (kitchen temps 20˚F or more cooler), it can take until late afternoon the following day for it to rise that high in the retarding fridge. I prefer not to return it to the proofer for a warm final proof if at all possible, and rarely do. Fall in Piedmont. What a dream. thanks so much for your feedback Tom. In Italy I grew and milled some of the wheat and rye myself. Grew some buckwheat too. 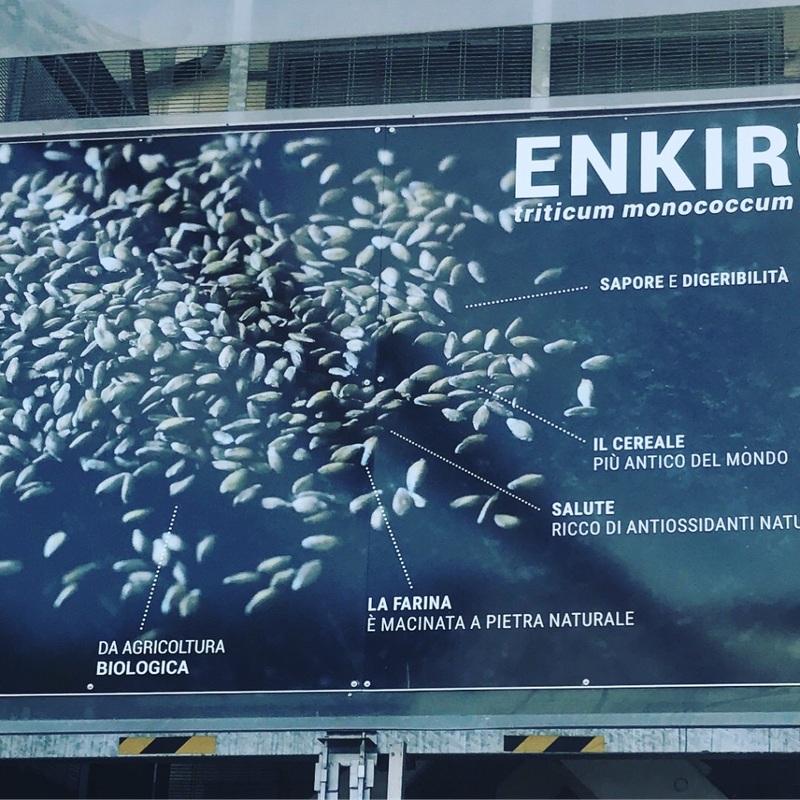 Mulino Marino sells the enkir grain and farro is very easy to find in lots of places. I don't think you'd have any trouble at all finding some interesting grains to mill there. Do you mill all of your own flour? I think it was someone a few years ago on TFL who was growing his own wheat and said, "Now that's what I call baking from scratch." I'm pleased to hear we should be able to source some good hard and soft wheatberries (better, biologique) and (gulp) even some hard white over there -- that would be great. We're pretty hooked on hard white wheatberries for many things. Great for sweets. Yes, we mill all the wholegrain flour we use -- haven't bought any flour except AP in years. Typical weekly bread is 60% whole wheat + 40% storebought AP. Our desserts & sweets -- pies, tarts, scones -- tend to be 100% wholegrain. So that's all home-milled too. Wow that's fantastic. What kind of a mill do you use? I don't have a mill anymore, mine finally gave up the ghost after years of abuse. I sometimes sprout the wheat for a day or two and then blend it with the water used in the formula. Works really well. we have a Komo Fidibus XL. 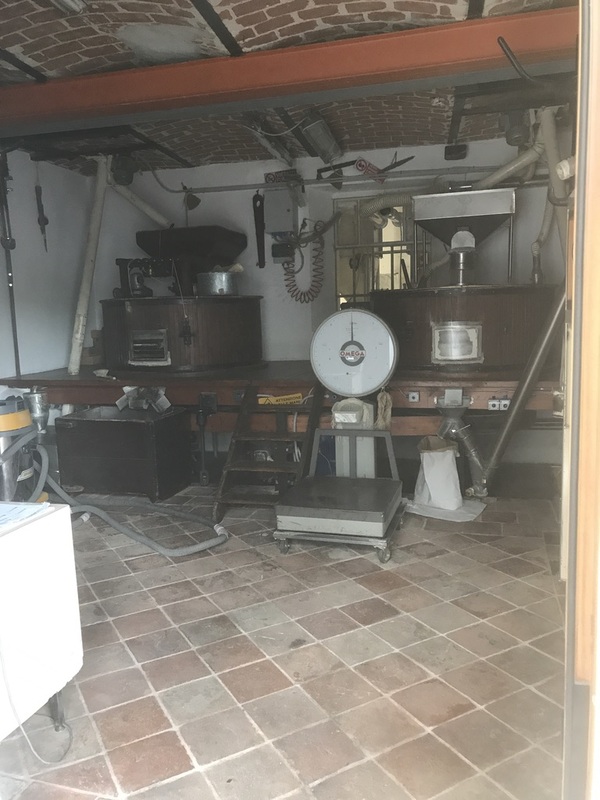 It has rather high throughput, which means the flour comes out hot, which means I keep stock of wheat berries to be milled in the freezer. I'm sure you could get a 240v version. Thanks for this...I saw the video he did at King Arthur and was impressed, nice to have some feedback from a user. It looks like a modern version of the "Schnitzer Vario" I used to have. Love the idea of a ceramic stone. Kouign Amann Post Mortem: crackers and other uses for this dough!